Specialized sports equipment like basketball backpacks haven’t always been around. In fact, it wasn’t until just recently that “sports tech” really took off. We now see “sports technology” products like the FitBit fitness tracking bracelet (complete with tracking features for sleep, calories, steps, and distance), and the SockIt soccerball foot wearable (which lights up your feet when you connect with the ball properly), as well as many others. Below, we’re going to be introducing 3 of the best basketball backpacks on Amazon. With a backpack designed specifically to hold just your basketball, you can keep your other backpacks completely separate, and thusly stay a lot more organized. 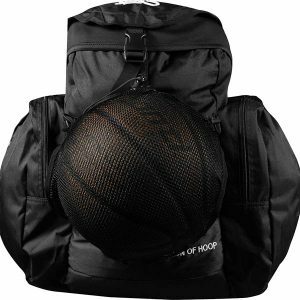 This is considered by us the best basketball backpack on the market! Featuring a water resistant bottom and durable 600D polyester exterior, this is one of the best basketball backpacks available for sale anywhere. Not once in the 30+ years Nike has been in business have they shorted their customers on quality, and they’re constantly improving to bring us even more outstanding sports products. The Nike Quad-Zip System on the Nike Hoops Elite Max Air Team 2.0 Basketball Backpack provides easy access to your bag contents from all sides, along with generously cushioned shoulder straps to provide excellent support. According to customer reviews, there’s plenty of room for a laptop even when fully loaded with a basketball and books, so you can use it as a school bag too. 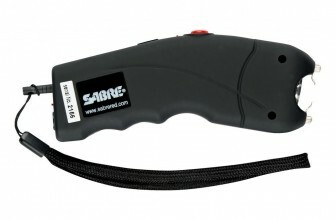 It measures 21” x 13” x 9”, which is within size regulations for carry on bags. In our opinion, this is the best all around backpack in terms of overall value. 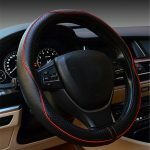 It’s made from the finest materials and can serve a wide variety of purposes. While not totally waterproof, the Under Armour Storm Undeniable II Backpack is highly water resistant, and is a great backpack for traveling in slightly wet or damp conditions. The abrasion resistant bottom panel extends the lifespan of the backpack in frequent usage scenarios. Foam reinforced panels provide you with all day comfort, and the Under Armour Storm Undeniable II is comfortable to wear even when fully loaded and heavy. It comes with a 15″ protected laptop sleeve, so you’re covered in terms of laptop travel ability as well. And in the front, you’ve got a water repellent pocket area to keep moisture sensitive items totally dry. 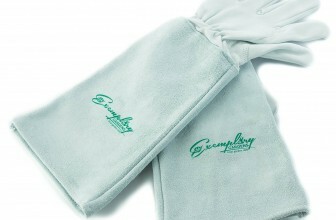 In total, there’s 1 interior slip pocket, and 4 easy-access exterior pockets to store items in. All in all, the Under Armour Storm Undeniable II Backpack is the best value for the money. The exterior isn’t as rugged as the Nike Hoops Elite Max Air Team 2.0 above. It’s a lot softer and more plush. With variable sizes and a price tag far below most other backpacks, the Nike Club Team Swoosh Backpack gives you an affordable, high quality option to pack heavy items. The polyester construction is woven in a way to be rugged, like canvas, and won’t let you down in during heavy weight situations. The difference between this Nike Club Team Swoosh Backpack and other backpacks in the marketplace is the construction quality. Cheaply designed backpacks from no-name companies begin to rip at the straps within just a few months, leaving you frustrated and upset. But the Nike Club Team Swoosh Backpack is highly affordable, and constructed according to the legendary Nike quality standards. And according to real user reports, even after over 2 years of heavy loads and frequent usage, there was still ZERO rips or tears in the fabric of the Team Swoosh! Basketballs are costly sports items, and need to be protected from the elements and other sources of damage. 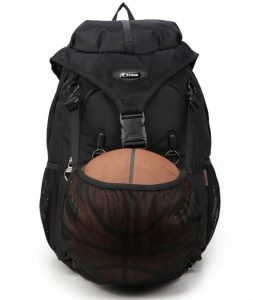 One of the greatest things about basketball backpacks is their ability to protect other large sports balls too, like soccer balls and footballs. Also keep in mind that indoor and outdoor balls differ greatly. For example, an indoor basketball used outside will wear out MUCH faster than an outdoor basketball would. But an outdoor basketball, while it does last a lot longer, can’t deliver the same “sweet spot” bounce and plush rubber feel that indoor basketballs can. Basketball backpacks are also an in demand style because they’re designed to fit and protect the dimensions of a basketball. So you can protect your basketball, of course, but basketball backpacks can also fit school books, folders, laptops, and more. So when you combine the spaciousness with their rugged exterior, it’s a winning combination people need and favor much more than smaller backpacks. A new basketball backpack, as opposed to an old beat-up backpack, is important to young people’s self esteem. A new backpack plays a part in helping them to perform better with their school work. An old beat-up backpack might mean dirty looks from other students and poor performance (stuck zippers, worn out fabric), which might play a part in poor grades. Backpacks can help you in many different situations. And just because a basketball backpack is designed to hold and protect a basketball specifically, doesn’t mean that you can’t use it for many other purposes as well. For example, basketball backpacks make great carry on luggage bags to hold hygiene supplies,changes of clothing, and other travel necessities. These bags are safely within the official size regulation standards set by airplane, train, and bus authorities. When camping, basketball backpacks make great companions, fit comfortably on your back during long walks (even when fully weighted), and make outdoor adventures much more fortuitous and enjoyable. Basketball backpacks also make awesome gift holders! Filling a basketball backpack with small size gifts, and then presenting it to the recipient is a very classy way to give a gift. And remembering that a huge sized canvas bag may be able to hold all your stuff, but that doesn’t mean it’s anywhere near safe to pack your items that way when traveling. The canvas bag would fit your items, but it wouldn’t do anything to protect or insulate them from banging against each other and breaking. Also, the total weight of the canvas bag with a huge amount of items in it might be too heavy to carry and be awkward to maneuver. So in a situation like that, a few basketball backpacks, that you own for sports purposes anyway, would fit a lot of your excess items, and allow you to carry your bags comfortably, one by one, to their final destination. And especially for people that are on the go on foot, sitting down to jot down notes, do math on paper, map out a business arrangements, or figure out nearly anything, backpacks hold notebooks and laptops very nicely too. High Quality Material/Construction – A great backpack should ideally come with high quality fabric, expertly woven to last for years of trouble free use. Many backpacks in the marketplace are easily prone to ripping and tearing at the straps. When people purchase a “bargain” backpack, they’re often surprised and disappointed when it breaks. The strap tears get bigger and bigger until they break, leaving the customer angry, frustrated, and helpless. As far as high school and college students, buying a high quality backpack makes a lot more sense than trying to save money with a “cheapo” brand. Companies like Nike, Adidas, Puma, and TYR are making excellent quality backpacks. Sure, they may cost a bit more than “bargain” varieties, but they last a heck of a lot longer and offer MUCH better performance. In the end, you end up actually saving money with a high quality backpack that lasts. As far as the fabric used to create the bag itself, you can choose from rugged canvas like material, plush (soft to the touch) material, or a combination of both. Name Brand Resale Value – A high quality backpack made by Nike, TYR, etc. can be resold when you want to upgrade or replace it. Name brand basketball backpacks are rugged, and designed to last for many years. You can easily sell it to someone you know to recoup at least a part of the original cost. Warranty – Your basketball backpack should ideally come with a warranty as well. And when basketball backpacks are so expensive to begin with, you at least have the peace of mind that you can get a refund if it breaks prematurely because of defect. Abrasion Resistant Bottom Paneling – If there’s one thing that backpacks are famous for, it’s being dragged, thrown, pushed, pulled, and treated bad. 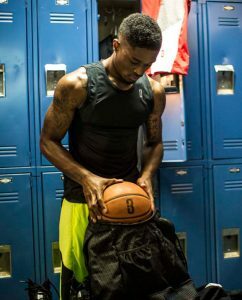 Most basketball backpacks come with abrasion resistant bottom panels to extend the lifespan of the bag. The bottoms of backpacks are one of the first areas to wear out. Water Resistant Exterior – Often times, people use their basketball backpacks in outdoor settings. And of course, anytime you’re outdoors you’ll have the chance of being caught in the rain. So water repellent coatings help to protect the bag, as well as the contents inside. Multiple Zippers And Compartments – Having more than one zipper and compartment allows you to remember where you store small items, and have quick and easy access to them as well. A frequent complaint about traditional backpacks is their single zipper design, and how cumbersome it is to open them each and every time you need something. Modern basketball backpacks often come with multiple zippers, so you can zip the bag open just a small bit to grab something from it quickly. Heavy Duty/Cushioned Straps – Shoulder straps on backpacks are notorious for ripping at the seams. Making sure you choose backpack with straps rugged enough to not rip under heavy loads ensures you get your moneys worth. Nike is famous for making bags that are rip-resistant, especially in the shoulder area. When it comes to basketball backpacks, there’s a million and two reasons that make sense to buy it NEW. The Nike Hoops Elite Max Air Team 2.0 Basketball Backpack is the best you can get. It’s a genuine Nike backpack that comes with official Nike authenticity tags. And people often buy used Nike products without hesitation because they’re well known to last longer than competing bags. Generally, you can count on a brand new Nike bag to last you years longer than other bags, with no absolutely zero “wear and tear” problems to make you upset. The Nike Hoops Elite Max Air Team 2.0 is as rugged as it comes, and it stands up well to constant use and abuse. The one thing the great majority of Nike basketball bag customers say, is that you always seem to get your moneys worth. Another frequent Nike customer report is that they’re backpacks are worth the asking price in terms of durability and performance. Below, we’re going to be listing the features of the Nike Hoops Elite Max Air Team 2.0 Basketball Backpack so you can get an in-depth look. Wet/Dry Mesh Sleeve – Capable of holding up to a size 15 shoe, the wet/dry mesh sleeve on the Nike Hoops Elite Max Air Team 2.0 combines easy basketball AND shoe travel together for on-the-go convenience. 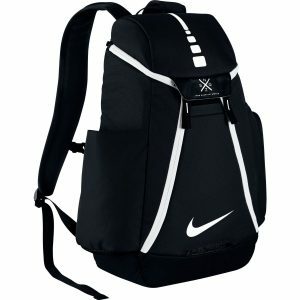 Side Water Bottle Pocket – The side-mounted water bottle pocket on this Nike backpack makes for a great outdoor hiking or courtside experience. Adjustable Sternum Strap – Nike understands the needs of athletic consumers, and so they’ve included a sternum strap to ensure that weight from heavy loads are distributed evenly, and not putting dangerous stress on your spine. Nike Quad Zip System – The patented quad zip system on the Nike Hoops Elite Max Air Team2.0 Backpack gives you easy access to your bag contents from any angle. 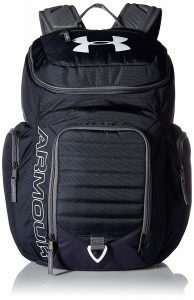 Most other backpacks feature only a single zipper design, and Nike greatly improved on this design with the release of their Quad Zip Zipper System. Vented Wet/Dry Compartment – The vented wet dry compartment is a major step up from bargain-variety backpacks and does a great job of “airing out” dirty athletic clothes. The Nike Hoops Elite Max Air Team 2.0 makes having to deal with offensive sweat odors a thing of the past. Adjustable “Max Air” Shoulder Straps – The shoulder straps on this backpack are well cushioned, and suited for everyday use without breaking or wearing thin. If you look up the customer reviews on many other backpacks, you’ll see that premature shoulder strap tearing is a frequently reported problem. Water Resistant Bottom – The bottom of the Nike Hoops Elite Max Air Team 2.0 is water resistant, which helps to extend it’s lifespan in wet usage scenarios. It’s been proven that the less opportunity that wet backpack fabric has to scrape on the ground, the longer it lasts. One of the greatest things about backpacks, is how you can pick and choose which one you want based on the features you need. For example, the Nike Team 2.0 backpack features a much more rugged, canvas exterior. The Under Armour Storm Undeniable II is much different. Instead of ruggedness above all else, the Undeniable II is more plush and soft, with a major emphasis on water resistance and wet condition performance. And unlike other backpacks that tend to “flop over”, the Undeniable II stands straight up when you’re filling it, whether it’s empty OR full. Also, for travelers, please note that the Undeniable II will hold a few changes of clothes, a few nights of hygiene supplies, and a laptop. Another great feature is the ability to keep dirty clothes separate from clean ones, but use the same compartment to do it. Backside zipper access allows you to accomplish this. “UA Storm” Water Resistant Technology – The polyester exterior of the Undeniable II is coated with a special water resistant polymer for superior performance in wet conditions. Abrasion Resistant Bottom – A backpack will be lucky to last a year of heavy use if it doesn’t have bottom panel protection. That’s why the Undeniable II comes with thick, abrasion resistant bottom paneling so you can use it for years with no problem, every single day! Foam Reinforced Side Panels – And because side impacts and abrasion is a frequent occurrence with people who backpack on a daily basis, the foam reinforced side panels protect it from wearing through. 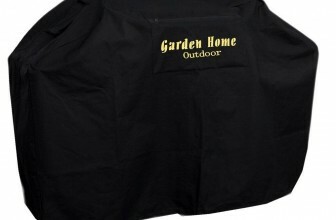 Adjustable “Heat Gear” Shoulder Straps – The shoulder straps are heavy duty and padded with rubber so heavy loads don’t “cut off” the circulation in your shoulder. 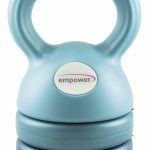 Soft 15″ Laptop Sleeve – The inner sleeve area of the Under Armour Undeniable II laptop bag will hug up to a 15″ laptop without marring or damage. A Total Of 5 Pockets For Storage – This backpack features the main compartment for storage for items like a basketball or soccerball, 2 side pockets, a top pocket, and 1 front pocket with soft lining. Bargain shoppers rejoice! Nike hasn’t left you behind! Whether you’re a student short on funds, or someone dealing with a limited budget scenario, you can get an authentic Nike backpack, brand new, on the cheap! Authentic Nike tags and the legendary durability included. It isn’t often that you can find a truly high quality item like this being sold for so cheap, so of course we thought it 100% appropriate that we pick the Team Swoosh as our backpack of choice for people on a budget. For basic basketball travel needs, this is THE BAG to get. Below, we’ll be listing the features up close so you can see exactly what’s included. 100% Polyester Construction – For backpacks, polyester is the material of choice. It holds up exceptionally well to abuse, like dirty clothes everyday and being waterlogged/soaked from the rain. The Nike Club Team Swoosh is designed entirely from high grade polyester. Mesh Side Pockets – Especially handy for spent socks, the mesh does a great job of ventilating sweat odors right away, before they have a chance to become a problem. Adjustable Shoulder Straps – No matter if you’re big or small in stature, this backpack can conform to your individual requirements. The adjustability ranges from Big and Tall all the way down to petite. You can also customize the tightness to suit how much weight you have in the bag for comfort. Spacious, Ergonomic, And Affordable – According to customer reviews, the Nike Club Team Swoosh comfortably holds a basketball/soccerball, cleats, uni kit, and basic essentials with no problem at all. And with a price this low, there’s zero room for complaint! 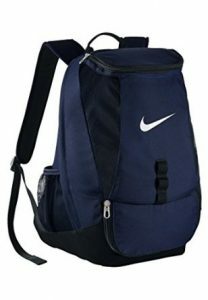 The Nike ergonomics on the Swoosh are respectable as well, with most people finding the bag to be very comfortable, and perfect for school use and fitness outings. Heavy Weight/Load Capacity – You can fit a full load of school books in the Nike Club Team Swoosh. And where other backpacks fail, and rip and tear at the shoulder straps, Nike has you covered. The construction design of the Swoosh is guaranteed not to tear in normal usage conditions. Special Note : The Swoosh lacks a sternum strap and laptop compartment – People who need these features will have to choose a more deluxe bag. If you’re traveling in a group, everyone using the same make and model backpack can help a lot for identification. When you run a count, such as before boarding a train, you simply count up all the people wearing the coordinated backpack you choose, match it up with the number of people you have recorded to be in attendance, and there you go! It helps immensely to keep a group organized. Backpacks are also great for repeatedly/continuous loads when hiking and camping. After setting up base camp, you can keep your SUV/truck loaded with supplies, and be able to visit TONS of trails. A new location each day to keep the trip exciting,for example. Within your vehicle (such as an SUV or truck), it’s totally easy to load multiple backpacks for multiple participants, easily return and reload the packs, and then finally return to camp for sleep. When it comes to high quality sports equipment, you can’t do better than Nike. The Nike company originally aired their first promotional ad in 1976, and by 1980, amassed a whopping 50% market share in athletic shoes. Nike also now owns Converse, so it’s safe to say that Nike and it’s associated companies represent the very best in athletic equipment currently available in the world today. But that doesn’t mean you should count other backpack companies totally out, like Body Armour and a few others. It really depends on your needs. For example, most Nike bags are designed with rugged, abrasive exteriors that might not be right for all-day/all-night usage. The rough design of the fabric could prove a problem for hands if you have to come in contact with the bag all day.